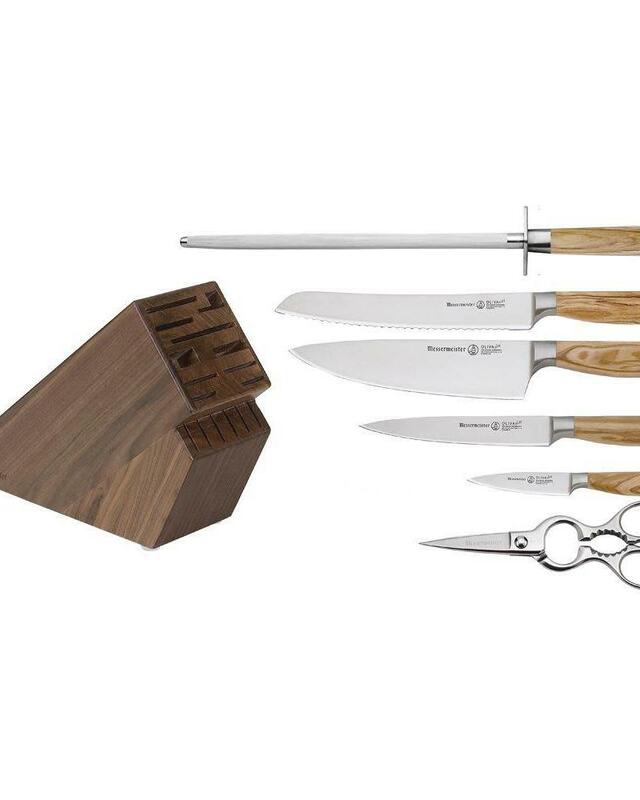 This is an exquisite knife block set for any kitchen. 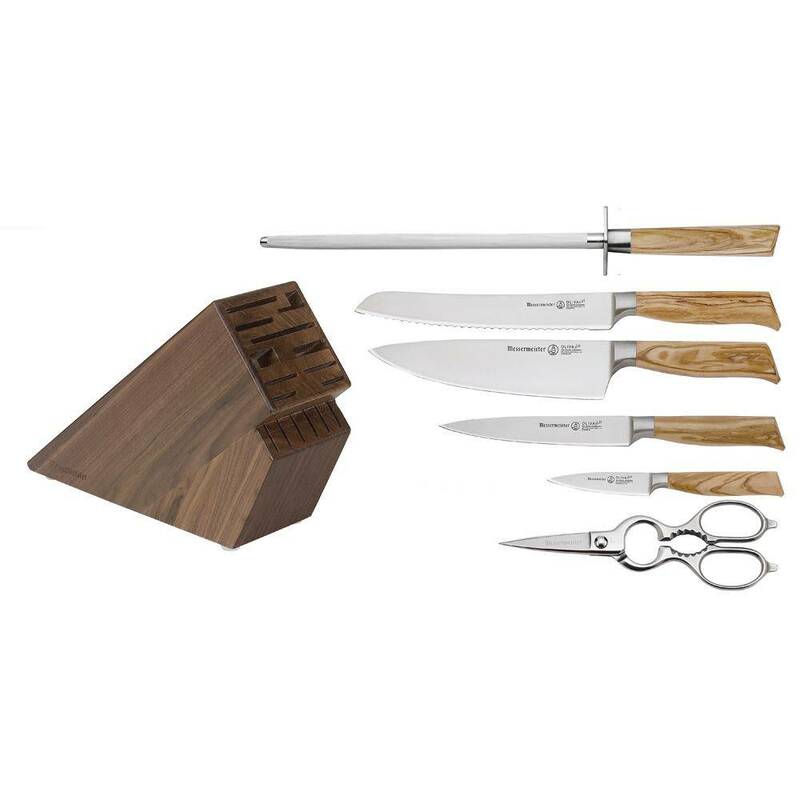 The Messermeister Oliva Elité 7 Piece Basic Knife Block Set consists of an 8" Stealth Chef's Knife (E/6686-8S), 9" Bread Knife (E/6699-9), 6" Utility Knife (E/6688-6) 3.5" Paring Knife (E/6691-3.1/2), 8" Forged Inox Stainless Shears (MM-215), 10" Fine Steel (E/6100-10F) and a 10 Slot Acacia Wood Knife Block (SKB-10/AC). This is an exquisite knife block set for any kitchen.